The CloseUp & Friends Tour. 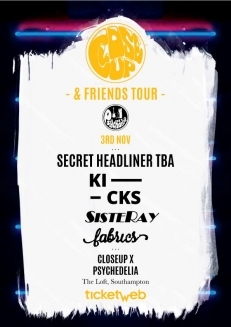 We're curating a nationwide run of dates for the CloseUp & Friends Tour, teaming up with local promoters, nights, venues & businesses for a little run of the UK's most exciting talent. Focusing heavily on friends of the CloseUp family within this.